Pierre Legault has served as a member of the Company’s Board of Directors since January 2016 and has been Chairman of the Board of Directors since March 2016. He has over 35 years of experience working in the pharmaceutical and biotechnology industry. Pierre Legault is also a director of Syndax Pharmaceuticals and Armo Biosciences. In the past, he was a director at Tobira Therapeutics, NPS Pharmaceuticals, Forest Laboratories, Regado Biosciences, Iroko Pharmaceuticals, Cyclacel Pharmaceuticals, Eckerd Pharmacy and NephroGenex, a biotechnology focused on kidney diseases, where he served from 2012 to 2016 as the Chairman and Chief Executive Officer. From 2010 to 2012, he served as the President and Chief Executive Officer of Prosidion Ltd., specialized in the treatment of diabetes and obesity. 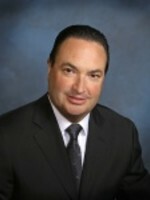 From 2009 to 2010, he served as the Executive Vice President, Chief Financial Officer and Treasurer of OSI Pharmaceuticals. 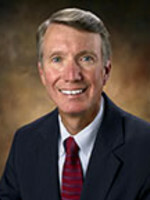 Mr. Legault also served as the President of Eckerd Pharmacy and Senior Executive Vice - President of Rite Aid Corporation. Between 1989 and 2005, he held various roles, such as President, CEO and Chief Financial Officer, at legacy companies of the Sanofi - Aventis group. Mr. Legault holds an MBA in Marketing from McGill University and a Bachelor’s degree from HEC (France). He also studied at Harvard Business School. He holds an MBA, BAA, CA, CPA and Six Sigma Green Belt diplomas. Mohammed Khoso Baluch is Senior Vice President and President of the Europe region of UCB, a global biopharmaceutical company. Mr. Khoso Baluch became the CEO and a member of the Board of Directors of CorMedix, a company listed in the US, in October 2016. Before joining UCB, Mohammed Khoso Baluch worked for Eli Lilly & Co. for 24 years, holding international positions spanning Europe, the Middle East and the United States in general management, business development, market access and product leadership. Mohammed Khoso Baluch also served as Vice President of the US Diabetes and Family Health Business Unit during his tenure at Lilly. Mr. Baluch also served as a member of the board of the Juvenile Diabetes Research Foundation, Indiana Chapter and Chairman of the Nominations Committee. Finally, Mohammed Khoso Baluch served on the American Diabetes Association National Industry Advisory Board. He is currently a member of the Executive Committee of the World Federation of Advertisers (FMA). 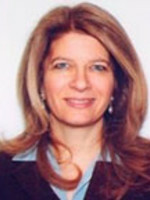 Pascale Boissel is a consultant in finance and restructuring operations, a field in which she has 25 years of experience. Pascale Boissel is the part-time CFO of Novadiscovery, a biotech company which develops models and simulations in order to avoid the risks in developing new drugs. Before that, she was previously the Deputy-Chief Executive Officer and Head of Finance and Administration of the BIOASTER institute, a French not-for-profit organization that develops collaborative research programs in the field of infectious diseases and microbiology. 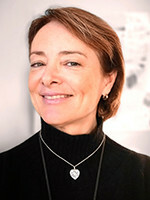 In 2009, Madame Boissel joined biotech company Ipsogen in the United States and was responsible for financing activities. She played a major role in the transaction which led to completion of the acquisition of Ipsogen in 2011. Before joining Ipsogen, she worked for listed French companies, as Deputy Chief Financial Officer, in the sector of transactions and commercial control. Pascale Boissel began her career in audit and corporate finance at PricewaterhouseCoopers. She has significant experience in international accounting practices. Janice Bourque has served as a member of the Company's board of directors since January 2016. She has served as the Managing Director, Life Sciences of Hercules Technology Growth Capital Inc., a technology and life science specialty finance company, since 2010. From 2009 to 2010, Ms. Bourque served as a consultant for Commons Capital, where she advised and provided strategic corporate investor fund raising. From 2005 to 2009, she served as the Senior Vice President and Group Head-Life Sciences at Comerica Bank in Boston, Massachusetts. Ms. Bourque also held the position of President and Chief Executive Officer of the Massachusetts Biotechnology Council, the oldest biotechnology trade association in the world, where she was instrumental in its growth from 1992-2004. Ms. Bourque currently serves on the board of directors and audit committee of The Village Bank. Ms. Bourque holds a M.B.A. in Finance and Accounting from the University of New Hampshire and has a Bachelor of veterinary science degree. Thierry Hercend, MD, PhD , has over 30 years of experience in both academia and the pharmaceutical industry, in various therapeutic areas including oncology and inflammatory diseases. 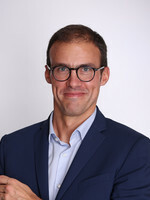 Since 2006, Thierry Hercend has held the position of Venture Partner at Edmond de Rothschild Investment Partners (EdRIP). From 2002 to 2005, Thierry Hercend was Vice President in charge of the oncology therapeutic area at Aventis. From 1998 to 2002, he was Vice President of Research, Europe at Vertex Pharmaceuticals. Dr. Hercend joined the pharmaceutical industry in 1990 as director of the immunology therapeutic area and then scientific director of the healthcare division at Roussel - Uclaf. 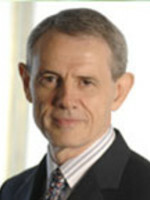 Prior to joining the pharmaceutical industry, Dr. Hercend was Head of the Hemato - Immunology Unit of the Gustave Roussy Cancer Institute, Villejuif, France, Director of Inserm Unit U333 with a focus on tumor immunology and Professor of Immunology at the Medical Faculty of Paris XI University. Thierry Hercend has authored more than 120 publications in oncology, autoimmune diseases and transplantation. Rich Kender has served as a member of the Company's board of directors since 2015. Mr. Kender joined Merck & Co., Inc. in 1978, and served as Merck’s Vice President of Corporate Development from 1996 to 2000. 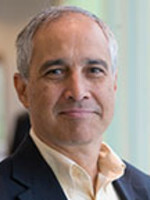 In 2000, he was promoted to Senior Vice President and his responsibilities were expanded to include Corporate Licensing and Worldwide Business Development, where he managed Merck’s Mergers and Acquisitions, Licensing, Financial Evaluation and Analysis and Global Competitive Intelligence departments. Mr. Kender retired from Merck in September 2013. Mr. Kender currently serves on the board of directors and audit committee of Seres Therapeutics and on the board of directors of Abide Therapeutics. He holds a BS in Accounting from Villanova University and an MBA from Fairleigh Dickinson University. For over 30 years, Kumi Sato has served as President and CEO of Cosmo Public Relations Corporation, an award-winning strategic communications and public affairs firm based in Tokyo, Japan, with a specialized healthcare division, COSMO Healthcare. Since its founding, COSMO has consulted for over 500 companies in healthcare, food and food sciences, and the service industry. Before taking over as CEO in 1987, she founded COSMO International, which advised Japanese companies on US market entry strategies. 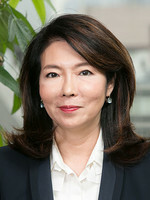 During her time at COSMO, she has been instrumental in directing the company to broaden its international focus and has held a series of noteworthy advisor positions, such as President and Founder of Women Japan.com and Outside Director for Rokko & Associates Inc. In 2010, she founded BioCube, a think-tank to discuss Japan’s healthcare system and biotech-related topics. She currently serves as an advisor to the Global Health Innovative Technology Fund in Tokyo, a lecturer at the Graduate School of Business Breakthrough University and is Chairman Emeritus of the American Chamber of Commerce in Japan. In addition, she is co-chairman of the Global Council for the Asia Society, based in New York. Ms. Sato has also authored two business textbooks on communication strategies and corporate social responsibility. Ms Sato started her career at McKinsey & Co., New York and holds a B.A. in East Asian Studies from Wellesley College, MA.